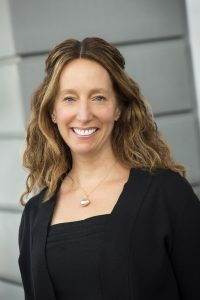 Sarah Levitt is a nationally renowned leadership expert, regularly invited to work with some of the world’s finest leaders, propelling them to even greater success and driving exceptional business outcomes. The leading authority on Magnificent Leadership™, Sarah’s clients optimize their talents and strengths within the chaotic, high stakes environments in which they lead. Described as a trusted and sounding board and guide, Sarah melds practical business acumen with keen listening and insightful questioning, creating unprecedented results. Her clients are corporate executives of Fortune 500 companies and their leadership teams and include multinational organizations, spanning the industries of chemical manufacturing, technology, commercial real estate, banking, healthcare, professional services, and more. Sarah is sought as a speaker for international conferences and leadership summits. A sampling of her engagements include: American Bankers Association, Harvard Kennedy School of Government, Hewlett- Packard, BASF, Oracle, Blue Cross Blue Shield, Vornado/Charles E. Smith, and the New York Bankers Association. Sarah conceived, created, and launched The Making Magnificence Project® and is author of the forthcoming book on this topic due out in 2017. She is a columnist for The Financial Manager and a lifelong learner with more than 20 years of business experience in strategy, operations, and organizational growth. An exemplar in leadership and business, Sarah grew her first company from start-up to capturing 40% of the NC market and was recruited to coach in the elite e-MBA program at UNC’s Kenan-Flagler Business School.